Your perfect meal on the road Salad – wherever I can find it! The one Never-Have-I-Ever destination that you hope to visit Bhutan. I would like to stay there for a few months and just breathe! 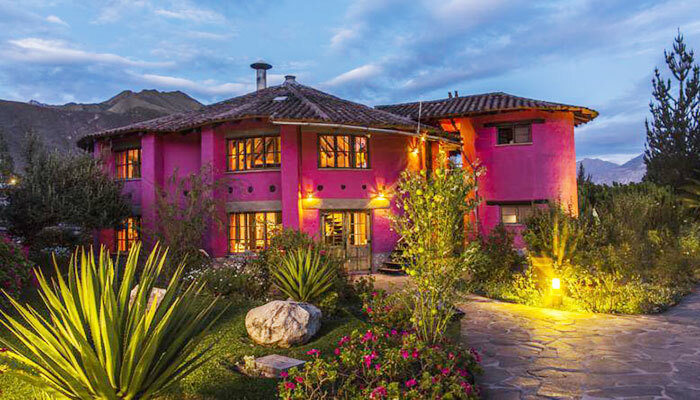 Tell us about your journey and what brought you to call the Sacred Valley in Peru home? Destiny brought me to Peru. I used to work in the mining industry and that was how I came to live in Lima. Then, I found myself at one of life's crossroads and decided to take a side road! I left behind my life and moved to the Sacred Valley of the Incas. This was now 20 years ago. My husband, Franz, and I shared a dream of setting up our life in a corner of the world where we could improve the future of some of the world’s poorest children. In Franz, I met the perfect match: I am overflowing with ideas for how to educate these children, and Franz possesses the gift of being able to build and realise these audacious dreams. I love to wake early, cuddle with my family, go for a morning run and then work, work, work – sharing my time between the hotel guests and the children of the foundation. I'll read a book in the evening if there's still time. What propelled you to embark on an education project for local children in the Sacred Valley back in 1999? 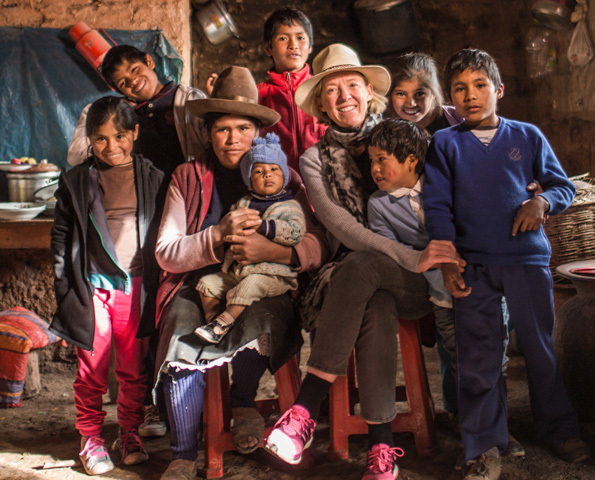 One of the first things Franz and I did when we moved to the Sacred Valley was to visit the local communities and I will never forget the first time I entered a classroom. It was so sad, terribly sad, with abandoned children in a dark place – not light, no colour, no life. Despite all of this, the children were so positive, with huge smiles on their faces. That's how we fell in love with them and decided to do something to help. How does your philanthropy link to your boutique hotel, Sol y Luna? The 'raison d’être’ of the association is to deliver a high level of education to children who would otherwise have to walk for hours each day to get to a very basic school, or not attend school at all. Our aim is to give the gift of education to the local children so that tomorrow they can be the protagonist of their own life. And, at the same time, to show the world that no matter where you were born, and in what conditions, all children have the right to go to the same school. Sol y Luna is our home, checking the details, receiving our guests, talking with them, guiding them, is part of our daily life. I would say that like at the foundation, we have no limit to our generosity for our guests! Having lived in Peru for the last 30 years, how have you seen the country change? Definitely there has been an amazing economic growth in the past few years, but I don't think this boom has benefited the people of the Andes. There has been very little change in education and health care here – both remain inaccessible for most local people. As an avid traveller, other than Peru, where in the world inspires you? I would say the entire world, and simply being alive, inspires me. Where is your go-to place for time with family and/or friends? 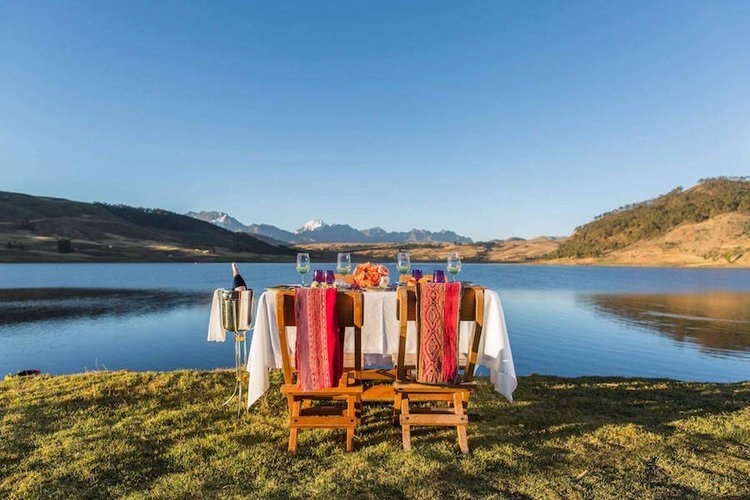 Here in the Sacred Valley, we keep returning to the Pumahuanca Valley, just above our home, which is very peaceful for a day of hiking – I actually just spent last Sunday there with my family. Finally, what does the future hold for Petit in Peru?